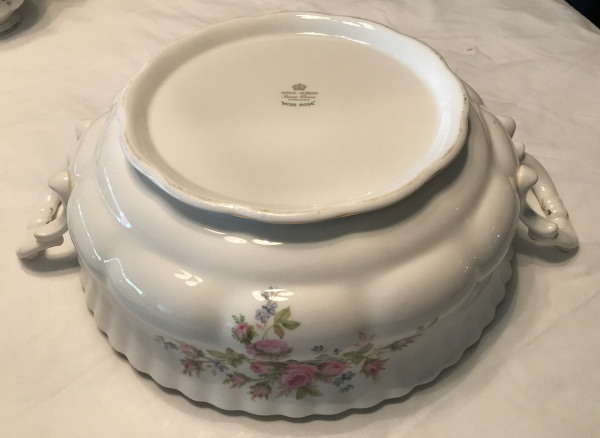 1956 Royal Albert, Moss Rose Pattern, Covered Serving Dish as seen from front. 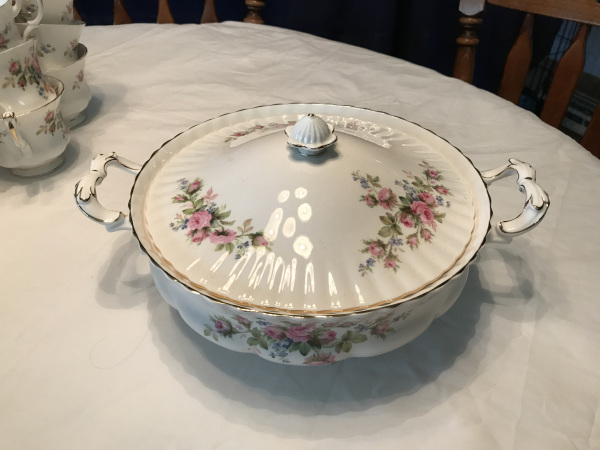 1956 Royal Albert, Moss Rose Pattern, Covered Serving Dish as seen from top. 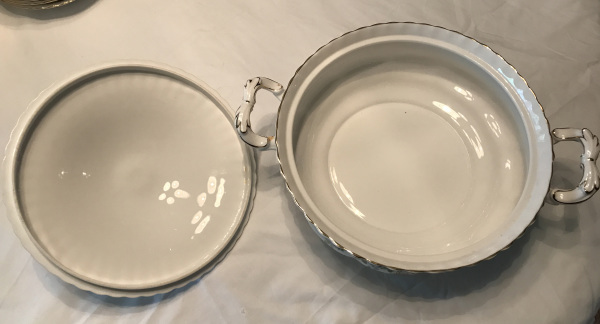 1956 Royal Albert, Moss Rose Pattern, Covered Serving Dish, view of inside of dish and lid. 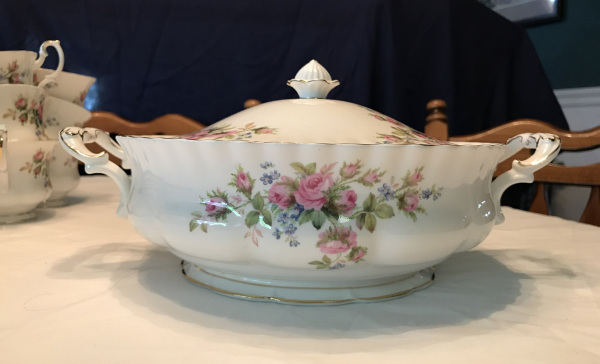 1956 Royal Albert, Moss Rose Pattern, Covered Serving Dish as seen from the bottom. 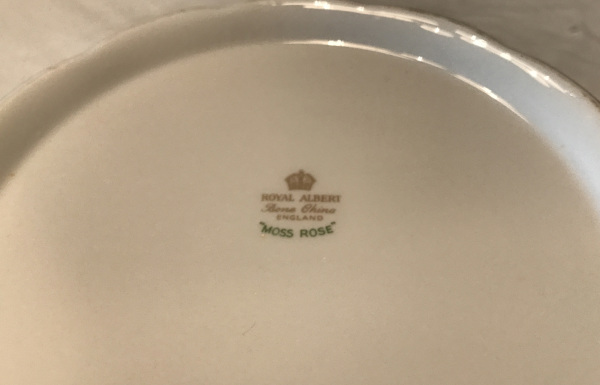 1956 Royal Albert, Moss Rose Pattern, Covered Serving Dish; maker's mark on bottom of serving dish. 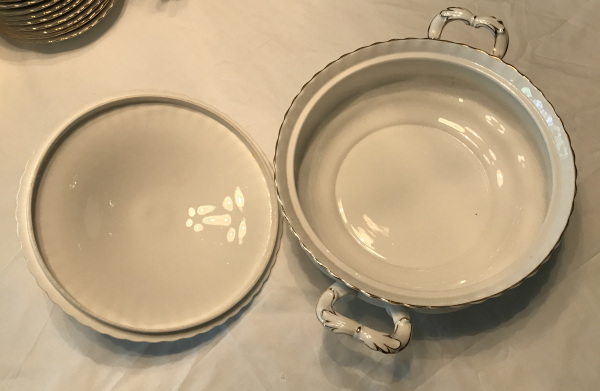 1956 Royal Albert, Moss Rose Pattern, Covered Serving Dish with cover removed as seen from the front. 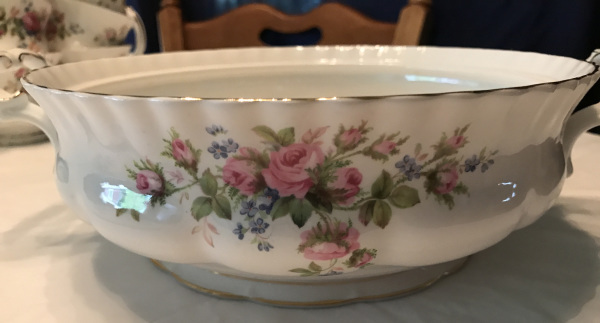 1956 Royal Albert, Moss Rose Pattern, Covered Serving Dish as viewed from the inside. 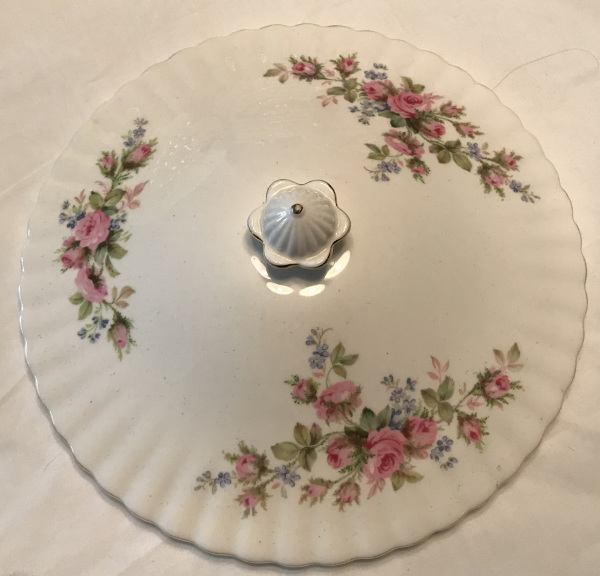 1956 Royal Albert, Moss Rose Pattern, Covered Serving Dish, cover as seen from the top.